Did you know that pizza is a $32 billion a year industry and more than 250 million pounds of pepperonis are consumed on pizza ever year? It stands to reason then, that there is a National Pizza Week. It just so happens that this year National Pizza Week falls from 1/8-1/14. Since this week is such an important week, we wanted to give you a few ideas of where we might celebrate. Streets of New York– Streets of New York is one of our favorite pizza places. If you are looking for traditional pizza that never fails to satisfy, this is your place. We’ve been eating Streets for almost 2 decades! 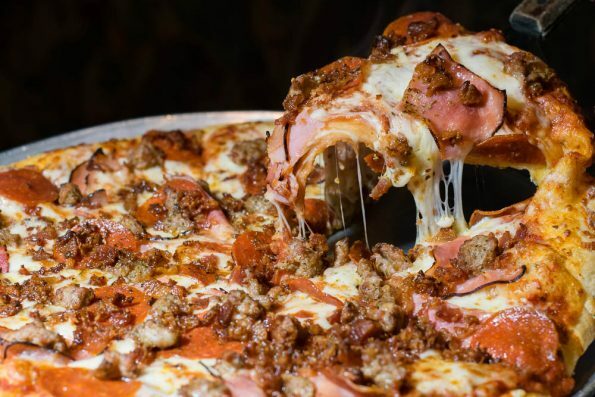 Recently they added a few new pizzas, like the Divine Swine, that would definitely fit the bill for National Pizza Week. The Parlor– Looking for a pizza that is a little bit less traditional? The Parlor has that and more! We recently visited them and were really impressed with their topping options. Burrata on a pizza? Yes, please! Want to be a bit more adventurous? Try the Puttanesca pizza, it has squid on it! MOD Pizza– Want a customized, fast casual pizza experience? 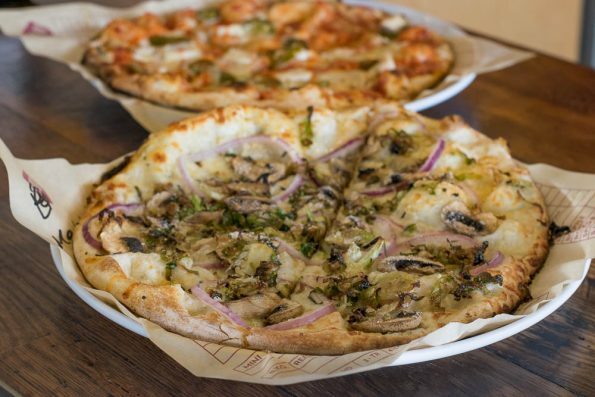 MOD Pizza is our go-to for just that. Not only can you enjoy one of their pre-made creations, you can customize your own. Currently our favorite, The Sienna, is not on their menu. However, we are hoping it makes a comeback real soon (it has brussels sprouts on it)! 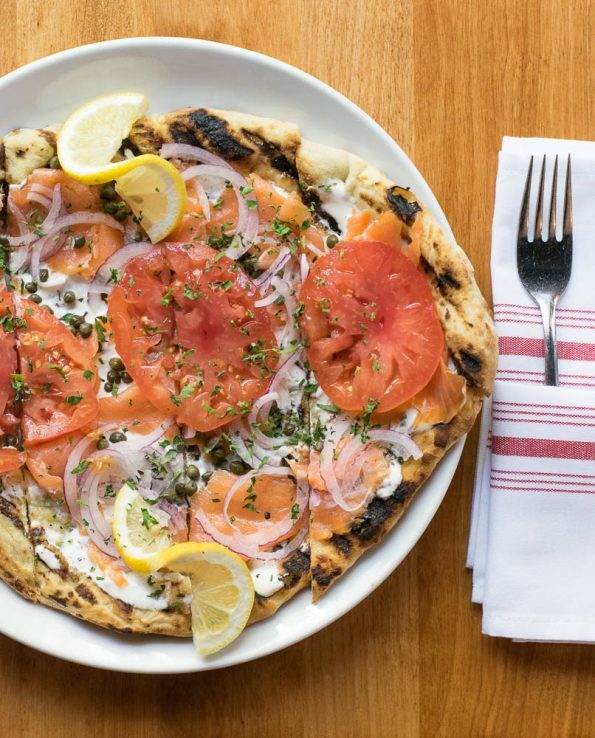 Caffe Boa– Want to celebrate National Pizza Week in more of a brunch fashion? Caffe Boa has you covered with their breakfast “flatbreads”. The Nova was our favorite. It was basically a bagel and cream cheese on a pizza. Who says cold pizza is the only way to have pizza for breakfast? There you have it! 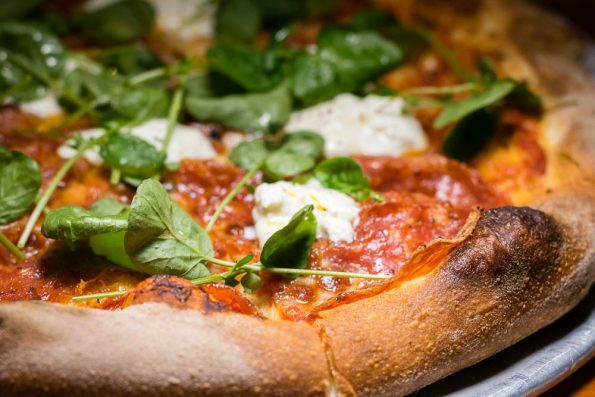 4 places to celebrate National Pizza Week! Who makes your favorite pizza? Are you more of a New York pizza style or Chicago? We’d love to hear all about your favorites! Leave a comment below or use the hashtag #GeekEats! *This write-up is comprised of both hosted meals and meals The Geeks paid for on their own; Opinions and recipe are wholly our own. View our Disclosure Policy for more info. I’m a little biased, because I own it, but I think Craft 64 makes the best pizza in town. It’s also owned by a geek. Me. I was President of my high schools Dungeons & Dragons Club back in the early 80’s. I worked for a time Flying Buffalo, Inc.; one of the oldest independent game companies in existence. I am a life long player of RPGs and Board and War games, and have the dice to prove it. That’s awesome! We love your pizza too! It’s been a bit since we’ve been in. Sounds like we need to come in again and talk geek with you!